Dubai: The UAE is on track to achieve the goal of becoming free of plastic bags by 2013, a senior official said. Dr Rashid Ahmad Bin Fahd, UAE Minister of Environment and Water, said: "The UAE and the entire GCC region are on the forefront of countries preserving the environment when it comes to producing plastics." 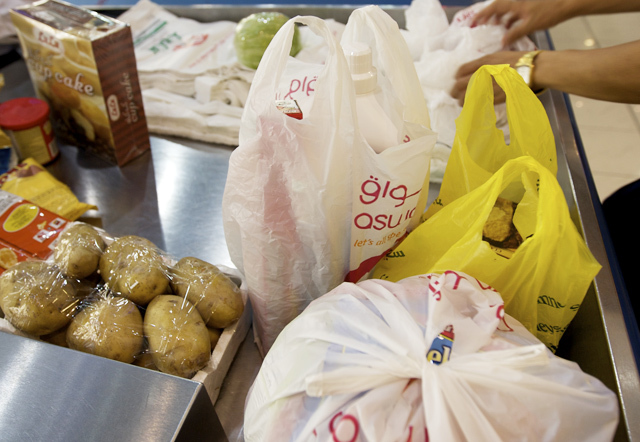 "The UAE will be free of plastics bags in 2013. The national plastics and petrochemicals companies are adhering to the environment measures we have in place to enhance the environment friendly approach of the UAE as part of their corporate social responsibility towards the community," he said. "Their adherence to environment measures also enhances their global competitive edge." He was speaking at the inauguration of the tenth edition of ArabPlast and Tekno/Tube 2011 at the Dubai International Convention and Exhibition Centre yesterday. Bin Fahd said: "The UAE and GCC plastics industry is committed to developing products and implementing practices that can contribute to a cleaner, safer and better world." Meanwhile, the Ministry of Environment and Water announced that it has been able to maintain its Emiritisation level due to its distinguished plan in drawing national expertise. Dr Mariam Hassan Al Shanasi, the undersecretary of the ministry said the ministry gives special importance to the Emiritasation process, and has concentrated efforts on drawing in national expertise, by providing an attractive work environment. The procedure she pointed out was carried out through a committee set up for this purpose in 2009. Dr Mariam said Emiritisation in the ministry reached 70 per cent on December 31, 2010. The committee is also keen on promoting the appointment of UAE nationals and stepping up their numbers in different job vacancies. She also pointed out that the number of employees appointed in the ministry in 2010 were 40 in different expertise and technical specialisations, while the number of interviews conducted in 2010 was 2110. Mariam emphasised the fact that a number of training programmes have been adopted to train employees according to the best international standards. For this end, the ministry has signed contracts with specialized and pioneer training centers, hence 88 training programmes have been carried out, with 13,000 training hours for the four main categories — Leadership, supervision, executive, and specialisation. The ministry has also set 28 training programmes for the first quarter of 2011, which will cover 3,522 training hours according to the function index of the ministry. Do you think it is possible for the world to be complete;y free of plastic bags? What should be done with the left over bags? Tell us by posting a comment below.